Mario vs Sonic. . HD Wallpaper and background images in the super mario bros club tagged: mario nintendo super mario bros wallpaper sonic. 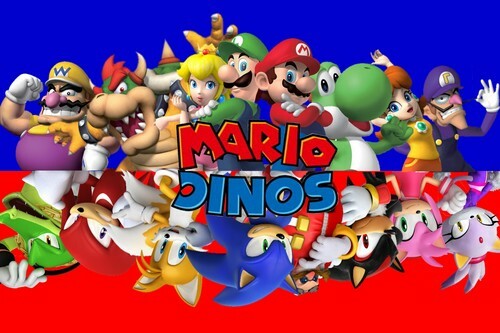 The Super Mario Bros and Sonic the Hedgehog are my two #1 video game characters of all time. I think Mario's team will win.